Cook the ground beef with taco seasoning. Drain any grease and add can of rotel and warm together. If using a head of lettuce, finely chop the lettuce. 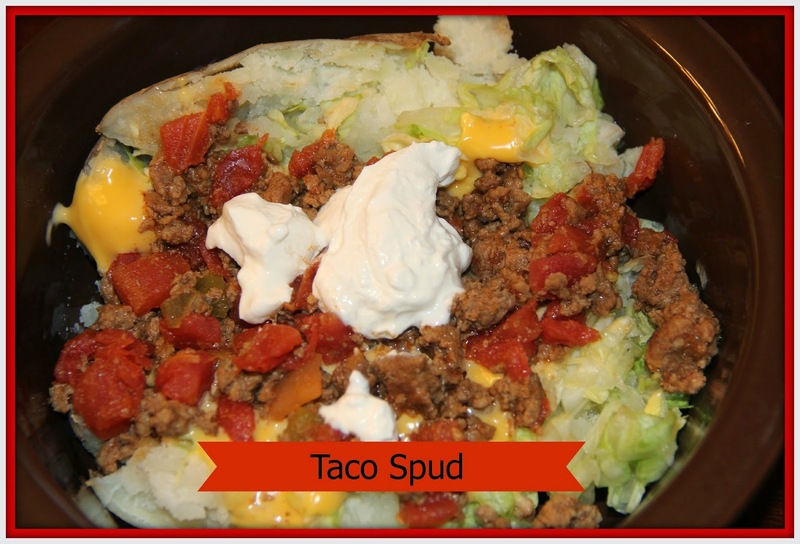 Cook the large baking potatoes in the oven, crock pot or microwave (just cook however you normally make your baked potatoes). Melt the Velveeta in a glass bowl in the microwave with a little milk. Stir about every 30 seconds. You can add milk until you get the consistency you want. 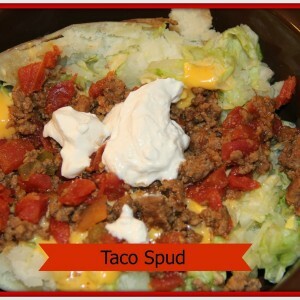 Once potato is finished cut it open and put the shredded lettuce on top, the beef mixture, melted cheese and sour cream. You can add any other toppings you would want. If we had had jalapenos I would have added those too.